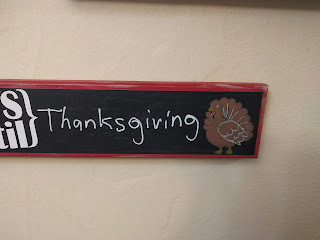 I have to start by showing off the turkey drawing I did on our countdown board. The family was all duly impressed. I was quite pleased with how it turned out, given I've never had any artistic talent. Thanks goes to the online "how to draw a turkey" tutorial I found. I had to adapt it a bit to work with chalkboard markers, but that was easy enough. It's been rather fun experimenting with the markers. I made the mistake of letting Mal watch GBBO a week or so before Thanksgiving (oh, btw, his new favorite show is Curious Creations of Christine McConnell, which combines baking and Halloween - the definition of Malcolm heaven). It was pie week on GBBO, and one of the pies had a lattice top, which he promptly requested we make. 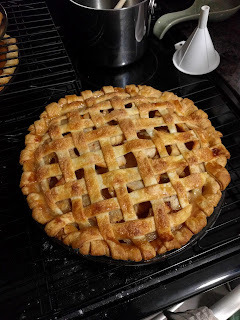 I've stuck primarily to pumpkin pies the past few years (since there are only 4 of us, we don't need tons of pies) and have never actually made a lattice top for a pie since our traditional apple pie in our family has a crumb topping. 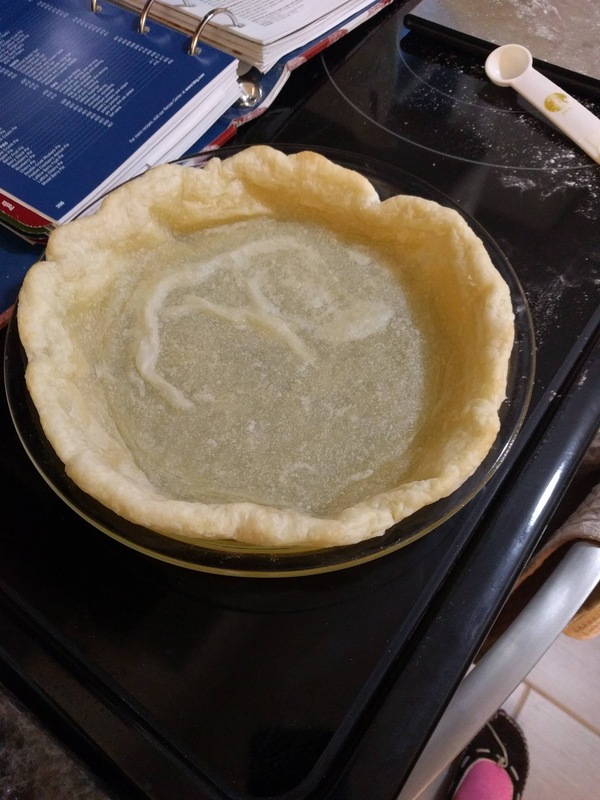 Also, due to watching GBBO and then doing some online querying, I decided to attempt blind baking my pumpkin pie crust. That didn't work out perfectly - I've started using a butter crust in the past couple years, which works well generally. But things got a bit rushed on pie-making day, and I really should have chilled the crust again before putting it in the oven. The butter definitely leaked out of the crust. Also, I was totally guessing as to how long to cook it and I'm pretty sure I didn't leave it in long enough. But the sides were shrinking in quite dramatically (I had a weight in the bottom, but I don't think it was enough to keep the sides in place), so I got nervous about leaving it in longer. So that pumpkin pie basically boiled in butter while it was cooking. I didn't blind bake the other crust. I'm not sure they were drastically different. I'll have to work more on that skill, but the pies tasted good enough - no one in my family complained anyway! I'm quite pleased with how the apple pie turned out. My BH&G cookbook had a good tip for how to easily weave the latticework. 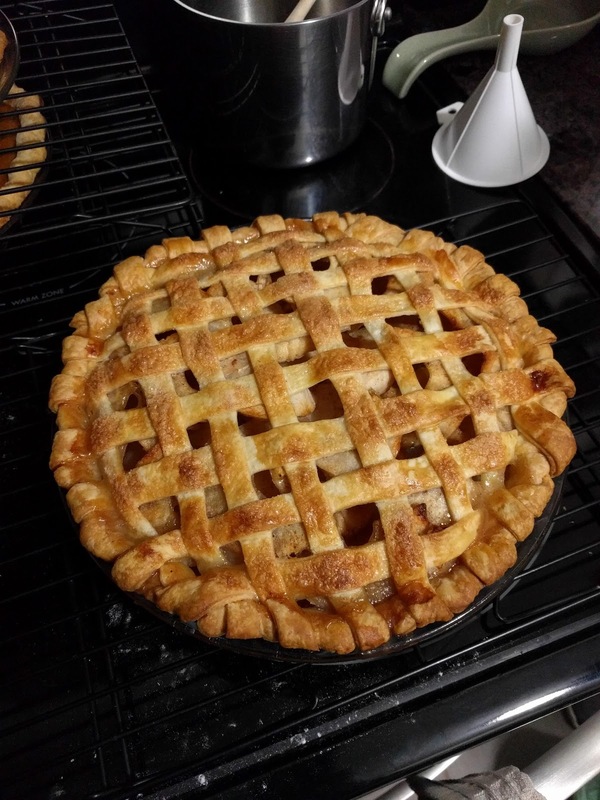 I ended up with extra apple filling and lots of extra crust, so the day after Thanksgiving I threw the leftover apples in a pie tin and covered it with crust, cinnamon, and sugar and baked it up. Apple pie without a bottom crust. We had some lovely restful days together. 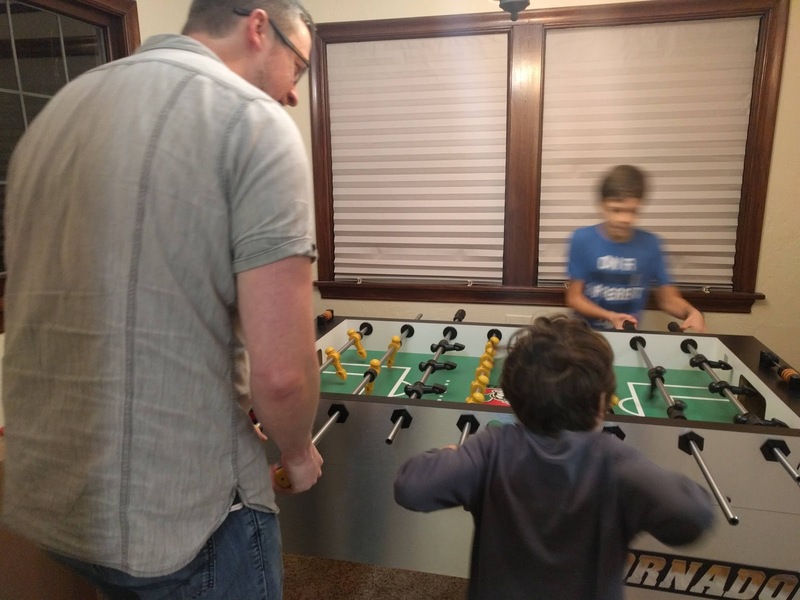 Played some foosball (I joined in as well) and some video games all together. We also introduced the kids to "What's Up Doc?" and "Return of the Pink Panther"; Mal especially enjoyed the ridiculousness of Inspector Clouseau.